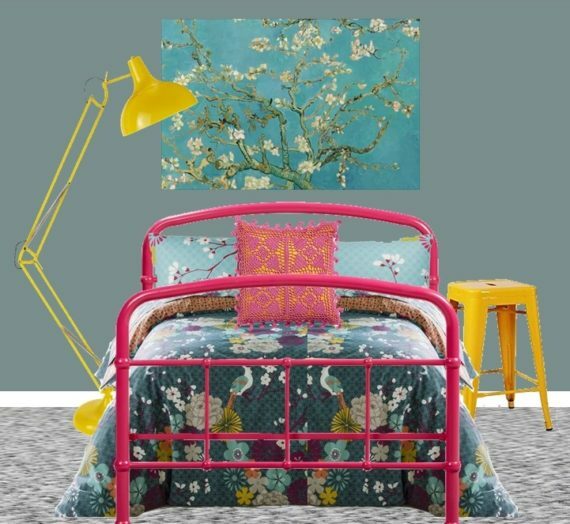 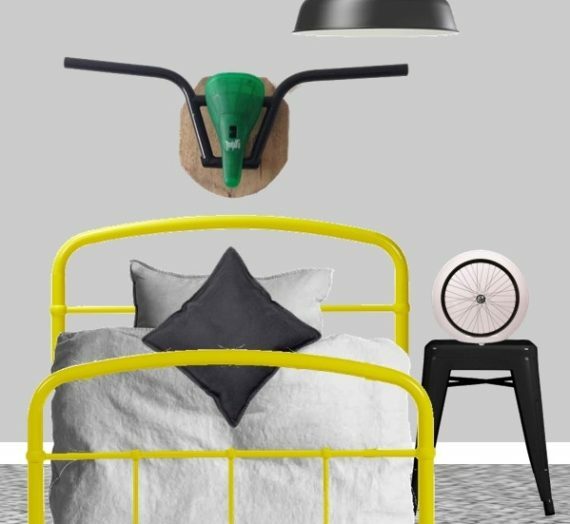 I believe homes should be practical and inspirational – easy to live with but inspiring to live in – and filled with pre-loved pieces. 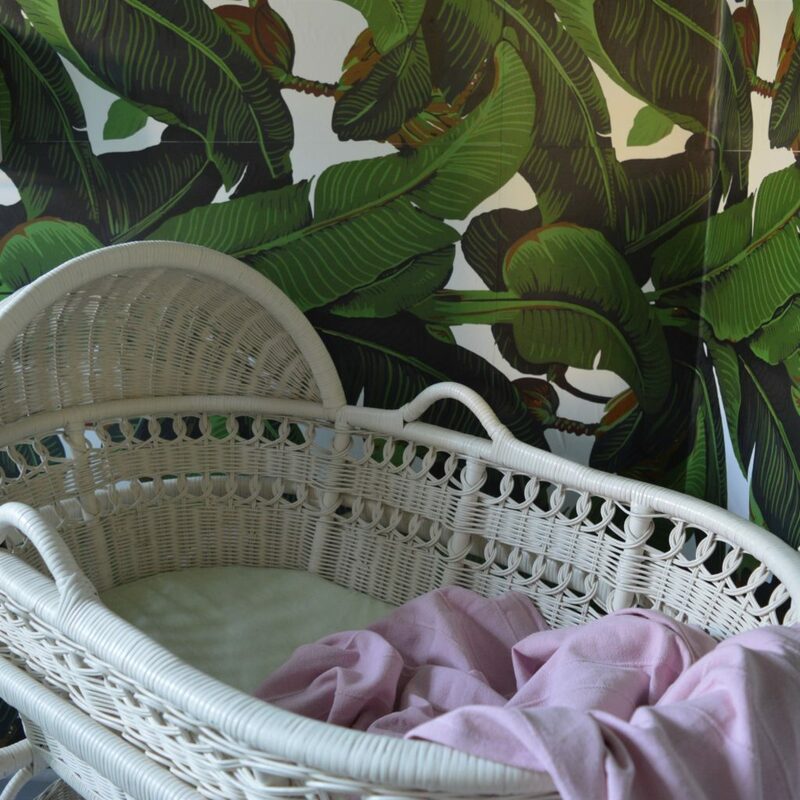 Based around a pre-loved bassinet I have created a banana leaves inspired nursery. 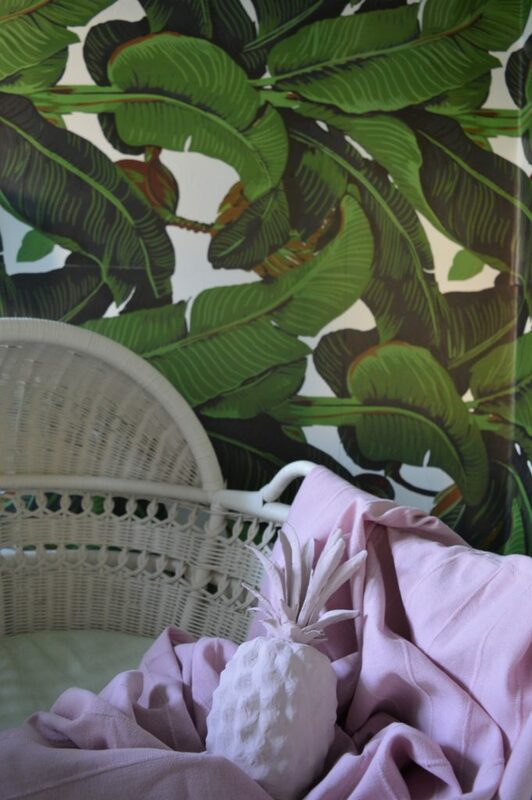 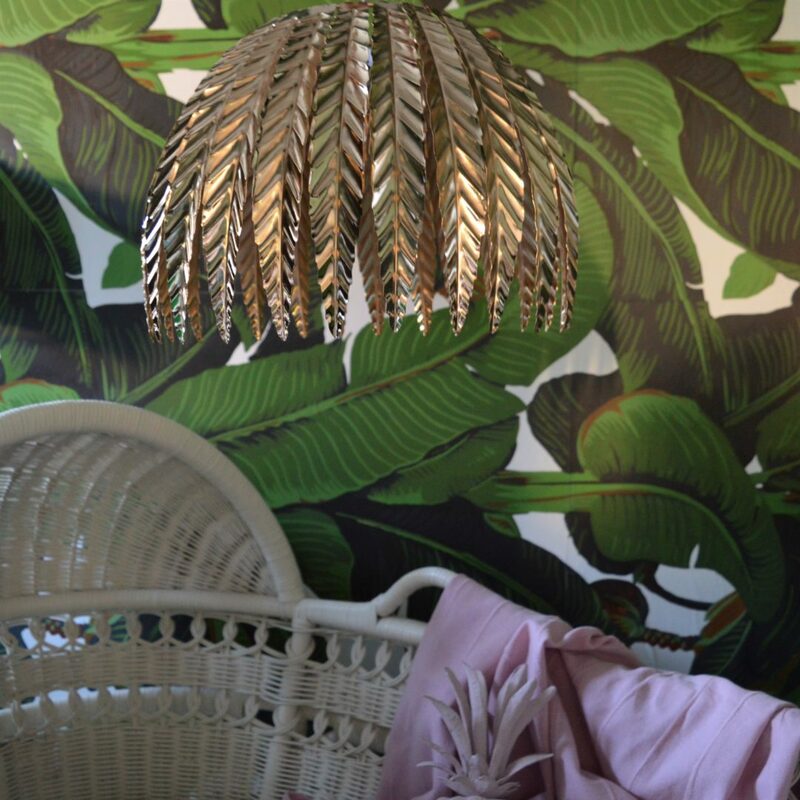 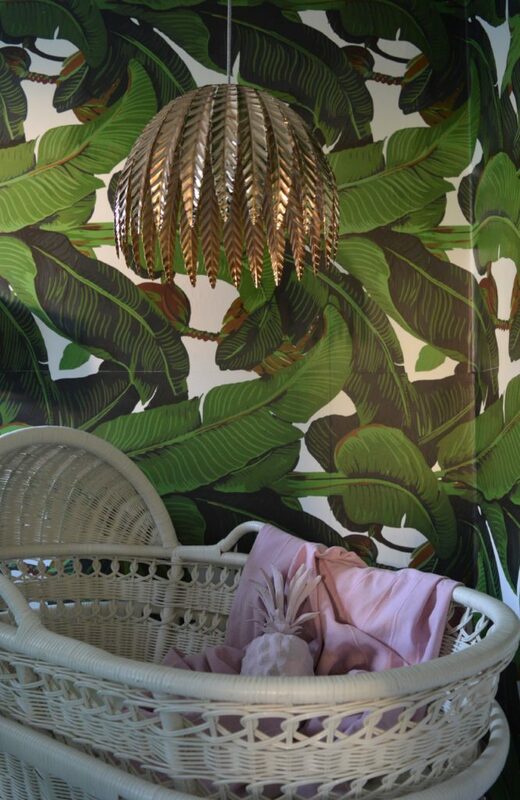 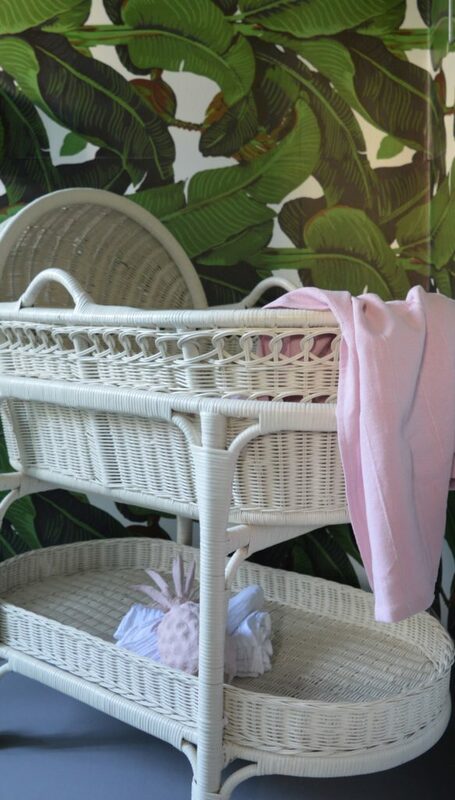 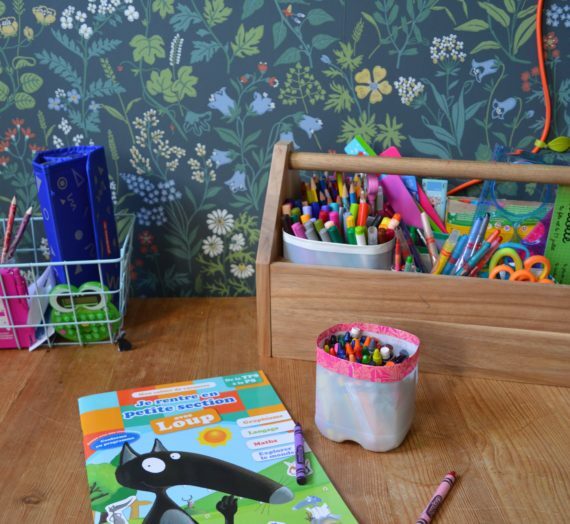 From the banana leaves wallpaper to the colonial wicker bassinet, this nursery design would inspire your little one to dream of tropical adventures.